The plan was to have a meal at one of the stalls or food trucks parked in front of the Ferry Building. 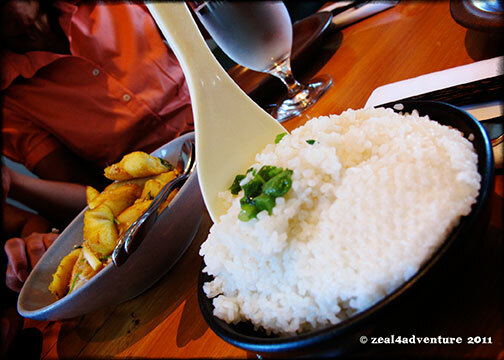 Serendipitously though we managed to get a table at The Slanted Door. I think this was a day mapped out by providence. The Phan family owns The Slanted Door, a modern Vietnamese restaurant overlooking the Bay that showcases humble family recipes made exceptional (by Chef Charles Phan) with locally sourced ingredients. The wait staffs were friendly albeit busy. It was a busy lunch day after all and we were really lucky to have gotten a table without reservations. We had, to share, the Green Papaya with pickled carrots, tofu, rau ram (Vietnamese coriander) and roasted peanuts. Love the fresh and crunchy papaya with the tangy dressing. 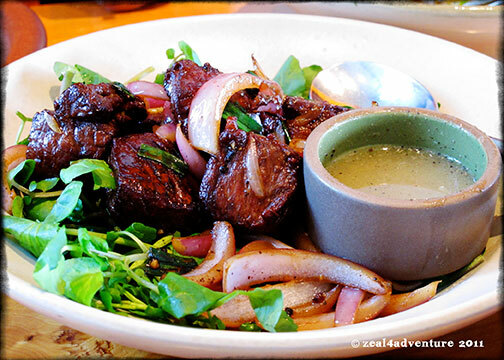 The Grass-fed Estancia Shaking Beef – tender cubes of filet mignon sautéed in red onions and a soy sauce vinaigrette and served with a pepper & lime dipping sauce — outstanding. Even without the dipping sauce, the dish stands on its own. A must-have on every visit. Perfect with their broken jasmine rice. 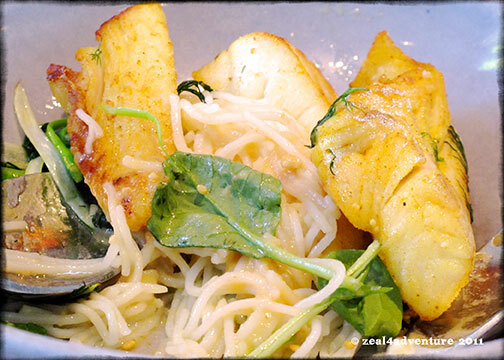 This codfish over rice noodle was delish too. 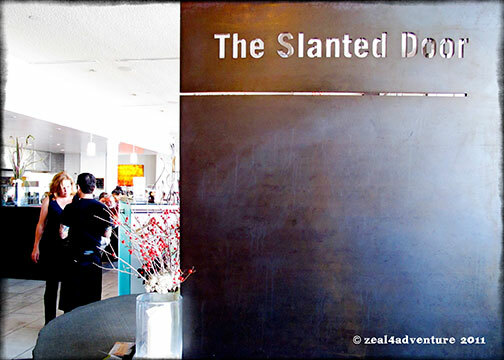 Modern and trendy, The Slanted door is more than the food. It has a sweeping view of the Bay too to go with the food. On my list of must go places. Never got around to doing it, but glad to know you did.